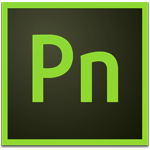 Adobe Presenter 11.1 software allows you to easily convert your PowerPoint presentations into interactive eLearning content which can be delivered to desktops, and tablets using HTML5 publishing. Turn passive content into video presentations, product demonstrations, training videos, and more on your own, right at your desktop. Simultaneously capture video feeds of yourself and your screen, and easily mix and edit them using the all-new intuitive three button interface. Add interactivity with out-of-the-box assets such as quizzes, actors, themes and drag-and-drop modules. Publish to video portals, desktops, and mobile devices, and track performance using integration with leading LMSs. Quickly create presentations in PowerPoint—no special training or technical expertise required. An intuitive interface guides nontechnical users and subject matter experts through the process of creating and publishing compelling presentations. Now let your learners have full access to your courses, even on tablets. Deliver eLearning on the go with full support for scalable HTML5. Send scoring data to leading LMSs and track learner progress. Use the multi-touch technology embedded in the tablet UI to allow learners to tap, scroll, pinch, and swipe their way through courses. Leverage gesture support to enable more instinctive interaction between the learner and the content. Track individual learner progress without investing in an LMS, using the Learner Analytics dashboard. Use information about basic evaluation criteria, such as videos viewed, average score, and pass or fail, to identify learners who need course correction and direct them to relevant modules. 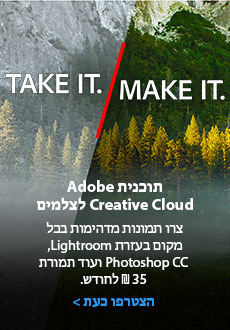 Internet connection is required to generate Closed Captions in Adobe Presenter Video Creator. This software will not operate without activation. A broadband Internet connection and registration are required for software activation, validation of subscriptions, and access to online services.